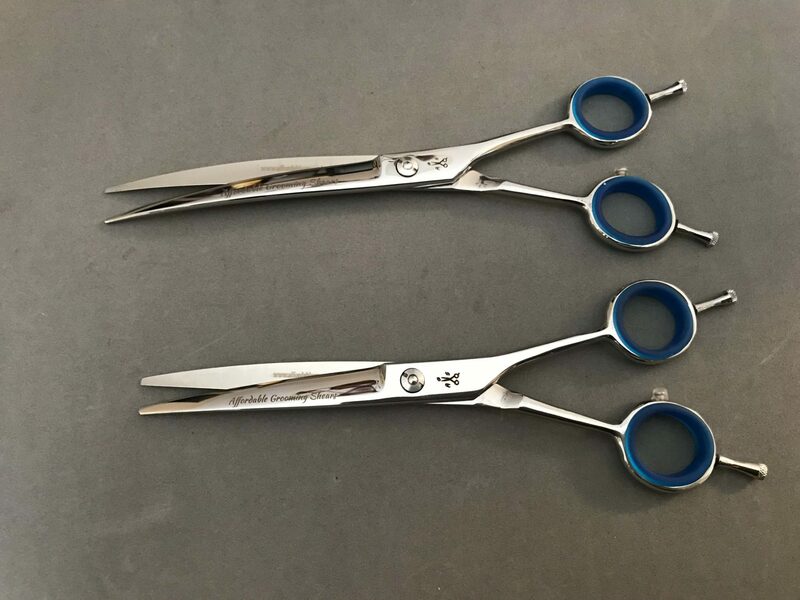 This is a set of 2 Distinction Curve Shears. I really love these curves. I use them for detail work on faces, feet and setting poms on toy or mini poodles. I got these originally for Bichon heads and I like using them to open up around the eyes and set the ledge. They are very light and comfortable to use. 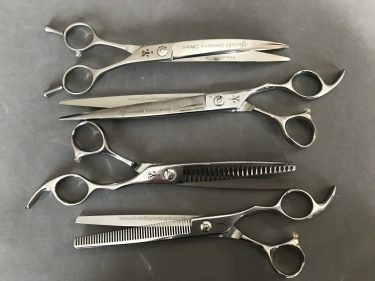 These are great scissors and a great price for them. 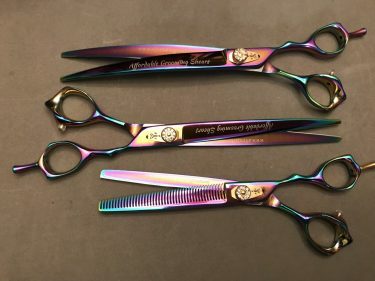 I bought a pair for myself then all the other groomers in my salon loved them so much so had to buy 5 more pairs!! Great for the newbies and experiences groomers. Holds their edge really well, I have used every day for 6 months and still haven’t needed to be sharpened yet! I bought these specifically for top knots and poms on poodles. 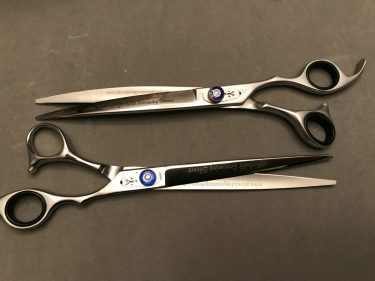 They are so LIGHTWEIGHT and they are so sharp! 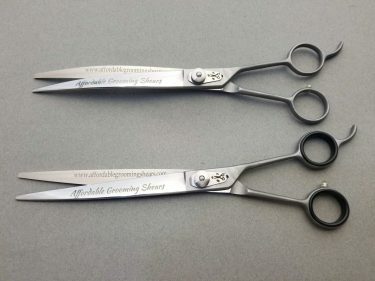 I love the extreme curves on both shears and they easily cut my time in half for grooming.